Appreciation is the important tonic to boost our life. 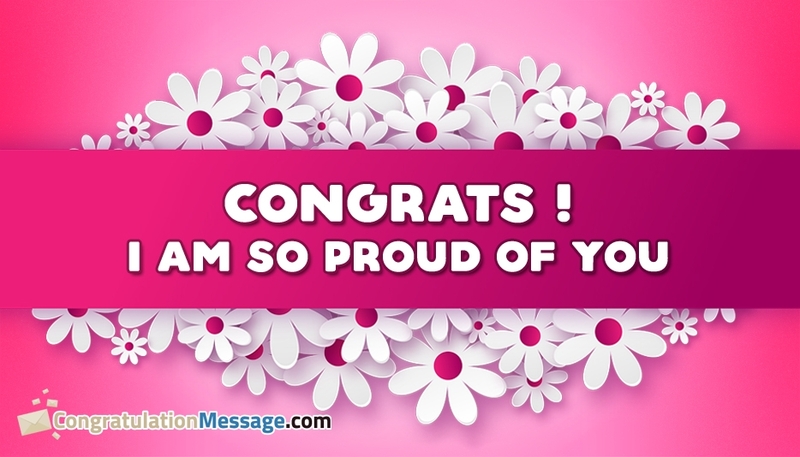 Here is an attractive pink card to congratulate your son/daughter or students for their efforts in reaching the success. Congratulating a person is important as it can only give satisfaction for the work done. You can use this "Congrats I am so Proud of You" to appreciate people on any social media pages.